Fencing - yeah, we have been doing it quite a while now. For the last years, Fence Builders has been one of the premiere fence companies in South Florida, and a name people know and trust. All of our Fence Builders offices are ranked 5 stars for great customer services and jobs well done. Our work just doe snot even compare to the competition - it blows them away! 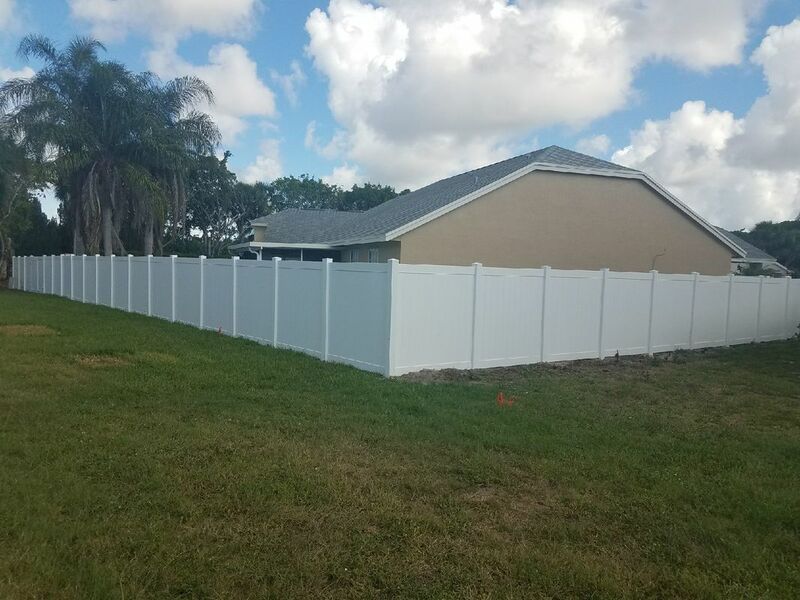 We stand by every single job we do, because at the end of the day your word is your integrity - and our word is we do some damn good fence installation in Pembroke Pines. All of our staff at Fence Builders Pembroke Pines has been extensively trained in customers service, because after all, the most important thing to us is happy customers. 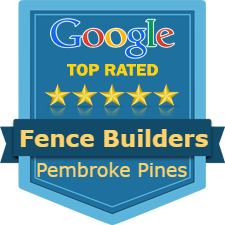 You can see a plethora of 5 star reviews for our past fence installation projects in Pembroke Pines. It is our commitment to our customers to ensure we always go above and beyond on every fence repair and fence installation. One thing thats sets us apart from the competition is the fact that we NEVER cut corners. Often times fence companies will not dig down far enough for the posts to stay up during strong winds. What results is pissed off customers. ​Fence Builders Pembroke Pines has been in the Pembroke Pines area for years. We are neighborhood residents just like you and we strongly believe in kind neighbor values. We want you to feel as if you are working with close friends when you choose to work with us. It is our mission to always put you first and give you everything you need to be happy with your fences and gates. We understand the importance of having a fence that looks good and functions the way it should, so those two qualities are of highest priority to us. Our guarantee to you is that you will be satisfied with our fences, gates, and services. From residential or commercial fence and gate installation to fence repairs, we won’t stop working hard until you have your ideal fence. We offer a wide variety of fences and gates, allowing you to choose your materials, colors, and functionality. We have aluminum, PVC, iron, and wooden fences to cover your yard, pool, or balcony, and we have gates of all different designs and styles. Whatever your taste, we can match it. Ready for a new fence? Call us for a free fencing estimate! We know all there is to know about fence permits in Pembroke Pines and Broward County so you never have to worry about the legal aspects of getting a fence installation. All you have to do is contact us and tell us what you want and we will always handle all the stressful parts. We take care of the hard work so you can enjoy your beautiful fence with no worries. Let Fence Builders Pembroke Pines install your PVC, wood, aluminum, iron or chain link fence today!